Nils Duquet, NP paper No. 62, April 2019, 20pp. Névine Schepers, NP paper No. 61, February 2019, , 16pp. Paulina Izewicz, NP paper No.57, April 2017, 14pp. 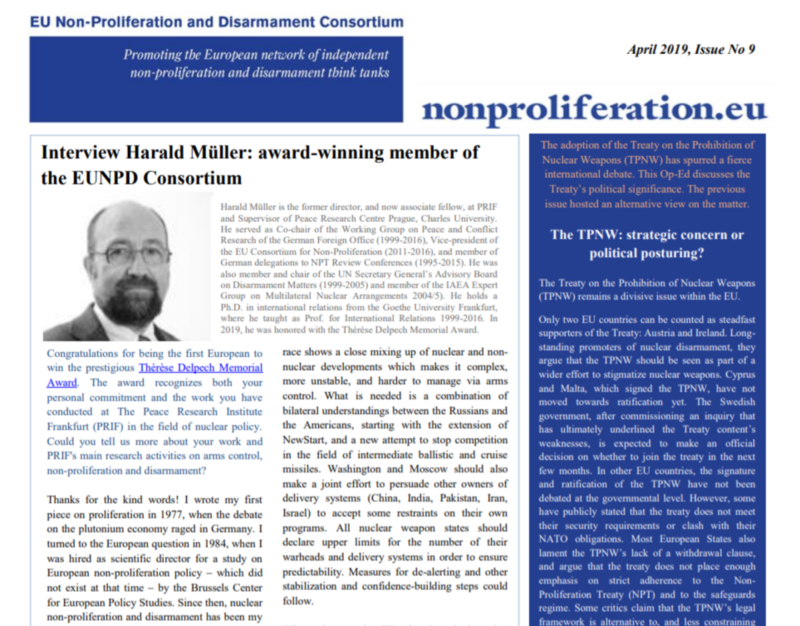 Is three dimensional (3D) printing a nuclear proliferation tool? Robert Kelley, NP paper No.54, February 2017, 11pp.